Everyone wants to know what will work to solve their difficult acne problems. There's no one magic bullet but you can have a big effect on your biology and environmental factors through what you do. Changing your behavior may make a big change for your skin. 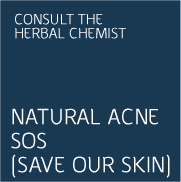 A successful acne remedy generally involves a whole lifestyle approach. Using the right skincare matters but it is also about the foods you are eating and your stress levels. For ideas on how you can start to revamp your eating habits see Part 1 of this series. Going organic and plant-based in your diet is a huge step in the right direction and your total health will also improve as a result. There's so much more to cover with the internal/external health link but today is about how you can simply and effectively treat your acne using skincare methods and products on the exterior. 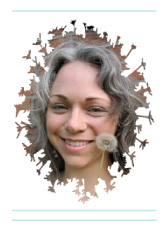 Here's the third step in my recommendations for natural acne prevention and treatment. 3. Use a gentle, natural cleansing routine daily to exfoliate, balance sebum, kill bacteria, and maintain proper PH. Exfoliation is a big skincare buzzword, but what is it and why do it? Skin cells replicate and die off each day as part of the skin’s natural repair and growth cycles. The dead skin cells may slough off but some individuals’ skin may not maintain itself as efficiently. This causes buildup of dead skin cells on the surface and can cause a dull appearance, patchy and flaky areas, and clogged pores. The skin replicates less efficiently as individuals age and regular but gentle exfoliation can help maintain a smooth, fresh, bright appearance. A clogged pore is a pore likely to get a pimple, so helping your skin with its daily renewal is a great idea. Exfoliation can be done manually with a mild abrasive, but a gentler way to go at it can be enzymes such as Bromelain from Pineapple, Papain from Papaya, and even Kiwi Fruit juice will dissolve dead skin cells. A mild acid like the Beta Hydroxy Acid salicylates in Willow Bark will dissolve dead skin cells too. Even just using a terry washcloth to gently wipe your face while removing your cleanser can provide benefit. Over-exfoliation is not a good thing and gentle is the key word for good results. Take it easy on yourself. Environmental pollutants and occlusive moisturizing agents like petroleum oils can also block pores so cleansing helps remove these external factors as well as your own dead skin cells. For the best in gentle and effective exfoliation some people swear by a fun little gadget called the Clarisonic. It has a brush head that gently polishes away dead skin cells. It's a strictly manual method that uses no chemicals at all, and Terri Bly of The Nature of Beauty calls it "the perfect facial cleansing and exfoliating system". How does it work? Terri says, "Using ultrasonic technology, the facial brush uses a sonic frequency of more than 300 movements per second to remove 6X more makeup and 2X more dirt and oil than cleansing with your hands alone. Even better, it does so without irritating the skin." For more compelling, complimentary information on the Clarisonic see her article "Why you should have a Clarisonic". It can be used alone with warm water or with your favorite herbal cleanser for added benefits. Sebum, your natural skin oil, protects the skin and creates what is known as the acid mantle. The acid mantle is hostile to many types of bacteria. It also serves as a food and breeding ground for other types of bacteria though, such as Propionibacterium Acnes, the bacteria responsible for acne lesions. When sebum levels are overly abundant the bacteria have a ready supply of food, leading to growth. Ideally sebum levels should be enough to provide comfort and protection but not feed bacteria. Daily cleansing with gentle products can remove excess sebum and still leave skin conditioned and comfortable. The first route by which cleansing discourages bacterial buildup is by physically removing anything deposited on the skin through your environment (dirty hands, fabrics and air) and by removing excess sebum that serves as food for bacteria, as mentioned above. The second route can be by actually killing bacteria using herbs, oils, or other medicines. I prefer a strictly botanical approach. Many natural acne products concentrate on Tea Tree oil due to a proven antibacterial fraction in the oil called Terpen-4-ol. It does directly kill acne bacteria. However, it can also be quite drying and for some people Tea Tree oil prompts allergic reaction. 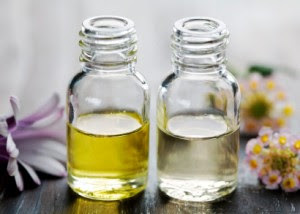 Most essential oils have antibacterial qualities and are highly mobile into skin, which make them uniquely suited to natural acne treatment. They discourage bacteria on the surface and work against bacterial growth inside pores. For common antibacterial essential oils that may help manage acne more gently than Tea Tree oil try Lavender, Rose, Palmarosa, Geranium, Cedarwood, Myrhh, Bergamot, and Frankincense. For more specific recommendations on these and other essential oils from respected herbal and essential oil expert Jeanne Rose see her article "Antibacerial/Acne-Fighting Essential Oils". Tea Tree oil is suitable mostly for acne in teen and young adult skin types. I would not recommend Tea Tree oil for anyone above the age of 25 due to excessive drying and potential for irritation. Take care with essential oils and always dilute them well before use. Your skin is made of proteins. The building blocks for proteins are amino acids. Notice the word acid there. Your skin is naturally acidic with a PH of somewhere between 4 and 6. 7 is neutral PH and anything above 7 is basic. Many people are damaging their naturally acidic skin PH by using alkaline cleansers. Once the acid mantle is removed or compromised your skin's defenses are down and acne bacteria can flourish. A typical soap cleanser will have a PH of 9 or 10 - solidly alkaline. Some people have more resilient skin than others and may rebound quickly from washing with an alkaline cleanser. Some lucky people have other genetic factors that contribute to a lack of acne bacteria growth. But for those who are exceptionally PH sensitive or have a propensity for acne this PH change can be disastrous. According to a paper titled The Importance of Skin PH by Gil Yosipovitch, MD and Judy Hu, MD from 2003 it can take skin up to 14 hours to return to normal PH. That means if you are washing twice a day with a soap cleanser your skin may never be reaching optimal PH, leaving you vulnerable to acne bacteria ALL THE TIME. Wow! That is a skincare juggernaut as far as I'm concerned. Acne is not the only detrimental effect from skin PH being too high. Some people may simply be experiencing dryness or discomfort, so proper PH isn't just for acne sufferers. Increased skin PH is also related to other disturbed skin conditions like eczema and dermatitis. If you're using a soap-based cleanser and have acne problems stop now and switch to something with an acidic PH that will not damage your acid mantle. How can you tell if a cleanser is a good PH for you? Unfortunately many of the natural facial cleansers that are available, even liquid cleansers, are soaps. Look for "liquid castile soap" or "saponified oils of" in the ingredient declaration. Other ways it may be listed is "Sodium Cocoate", "Sodium Olivate", "Potassium Cocoate", "Potassium Olivate" or potentially as just botanical oils and then Sodium Hydroxide or Potassium Hydroxide. Cream cleansers, oil based cleansers, and those using mild glucoside cleansers like cocoglucoside and decyl glucoside would be something to look for instead. I still have my personal preferences even within PH correct cleansers but the point is to help you make an educated decision about what product is right for you. None is what I'm saying is meant to speak badly overall of natural soaps. Natural soaps are wonderfully simple products and generally toxin-free, which is how they've made their way so well into the routines of many natural and organic lifestyle lovers. However, when I get a client who tells me they've used many natural skincare lines and are still having no luck with their persistent acne a non-soap cleanser is the first thing I recommend. Change your cleanser and see what happens for you. Improper PH may be the culprit. A cleanser to try that would be correct PH, soap-free, and the pinnacle of clean ingredients would be Intelligent Nutrients Certified Organic Anti-Aging Cleanser. As evidence of what the right, non-soap cleanser can do for acne-prone skin check out this proud, bare-faced Twitter post from one of our fans of Fresh Mild Rice Cleanser. Also watch this video from ILuvJesse444 who thought she had oily skin with her acne but it turns out a cleanser switch to a non-soap made all the difference. Cleansing is incredibly important and the right cleansing routine can change your whole skin condition. Make the commitment to find the proper cleansing routine for YOU and the benefits will come. Whether it's the Clarisonic, an essential oil, or a cleanser product something is out there that will set your skin up for success. I'll be back tomorrow with some moisturizing, spot treatment, and mask ideas to finish off. Stay tuned! Hey Julie, I have a question about a product I use. I think it works for me but I really would love your quick take on the ingredients. I use the product after my rice cleanser usually at night then follow up with a moisturizer. Are the ingredients in the product really doing as much as I think they are? I have been thinking that it balances out my PH levels that get messed up after cleansing. But after I read this post the Rice Cleanser shouldn’t mess with PH levels. I was also wondering what exfoliator you use? So.... Personally I would not use this product, and it would not be necessary to use it after a PH correct cleanser. Using a toner to try and correct ph after cleansing is mostly an appropriate thing to do after using an alkaline cleanser. However even a PH correction won't really replace your natural mantle if that has been stripped off. If you are using an acidic PH cleanser you won't need a PH correction. So the actually beneficial actives in this would be the Witch Hazel, Salicylic acid, and Sodium Hyaluronate. Witch hazel is astringent and anti-inflammatory, love it. Salicylic acid is OK as well, and that would be where the exfoliating claim comes from. Sodium Hyaluronate would be for moisturization. Everything else is there for product preservation, ph control, and color. I would not use this product personally and I don't think this item is worth buying. You could get a straight certified organic witch hazel distillate from this lovely artisan based business and skip every single additive in this product. They don't have a flashy website but you don't have to have pretty packaging to be a good quality herbal. What matter is the plant and the distillation, not the bottle and marketing. I don't think the salicylic acid and sodium hyaluronate in the Clinique formula are worth all the crazy extra stuff they have in there. 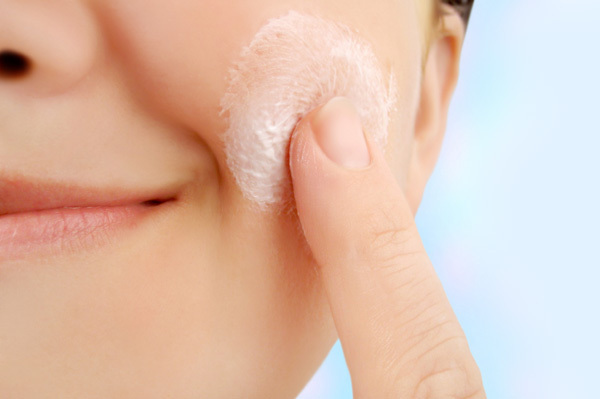 You can get that stuff in your moisturizer if you really want it in one of your products to use, and I think the results would be as good with just a plain good quality witch hazel. I use my Refine mask for exfoliation right now when I need extra help. Partly because it is around in abundance and easy - doesn't require me placing an extra order! ;) I am busy a lot of the time and I'm lucky to get that extra 20 minutes or so in the bath on the weekend. I use a terry washcloth though on a daily basis to remove the rice cleanser from my face, and just the terry texture gently wiping does a lot to keep me from getting flaky. My trouble spot for flakiness is between my brows. When I had a facial at The Nature of Beauty they used Naturopathica's glycolic peel on me and that was just fine, however you can only get the esthetician strength product by going to your professional for an appt. The retail product is less concentrated. Generally for me as long as I wash twice daily and maybe hit the mask once a week or biweekly I'm ok.
Hey Irie! I love your blog! I'm wondering what you think of NYR Organic products? I just started working for the company and we have a Palmarosa line that I'm going to try for my acne prone skin! Thanks for all the great ideas on natural remedies! Hey Steph, sorry for the length of time since you wrote in! I sporadically check comments as blogging isn't my main gig. :) I have seen Neal's Yard written up in some of the natural lifestyle mags, but other than that I have never tried their line and it would be hard for me to offer an in depth opinion. At first glance the ingredients lists look pretty decent but an in depth look at most of the products would take quite a while. One good thing is that they are European based and the EU has tighter regulations for cosmetics than the USA, so in general European lines are a pretty safe bet toxicity wise. I can't comment on performance for this line though. Good luck!